Welcome to Lubbock‘s only upscale, fabric store specializing in custom bedding, furniture and window treatments. Unique to the West Texas area, we stock designer fabric and trims. 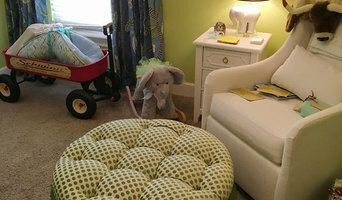 We also have rugs, wallpaper, drapery hardware, interior design services and custom upholstery. Our designers are professionally trained to work within any style if you need a little help. We love to work with DIY ‘s as well as professionals! All About Looks stocks a variety of indoor and outdoor fabrics including, but not limited to, silk, cotton, linen, poly blends, chenille and velvet, as well as the new performance blends and eco-friendly fabrics. If it can be used for drapes, window treatments, furniture or bedding, we have it or we can get it! Buying directly from many mills throughout the world enables us to bring you discounted prices on some of the hottest new looks in textiles for custom drapery, furniture upholstery, custom bedding, baby bedding and even vintage looks. All About Looks carries lines of pre-made 118″ long drapes and ready-made bedding for the quick updates. We are located in the Panhandle of Texas, 2 miles from both Texas Tech University and Lubbock’s large medical community. We service Midland, Odessa, Big Spring, Snyder as well as locations in New Mexico but will ship anywhere within the US. Whether your look is vintage, traditional, eclectic or modern, we have the newest fabric trends available. Have a look at our new website to see some of our ventures. Bravo Xteriors was founded in 2011 from several backgrounds inside & outside of this industry coming together to fill the desperate need for a customer service in a sector which appeared to have lost its way. One of our main objectives when creating Bravo was to differentiate from the fly-by-night landscape service that has become standard. We understand the need for a company with a high value-to-price ratio, and that's why we're here. Degrees in nursery management, horticulture, two business degrees, and a master’s in education help us to be a multifaceted, and see both sides of the rock so there is no hard place. 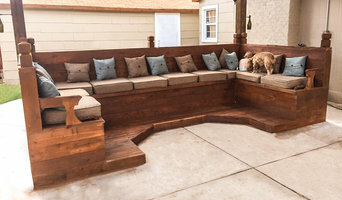 Give us a shot and you'll see our definitions of customer service, value, and how we bring those together to create a fully satisfied customer, with a fully enjoyable backyard experience. Since its founding, we at Budget Blinds Serving Southwest Lubbock have proudly served the local community by offering high quality and stylish window coverings for any occasion. Our goal is simple: to provide you with the best products and services in order to enrich your home environment. Our lavish selection of window treatments includes shutters, blinds, draperies, shades and even window film. Regardless of the window’s size or shape, you can rest assured Budget Blinds Serving Southwest Lubbock will have a customized window coverings solution ready for you. Call us today to schedule your free in-home consultation. 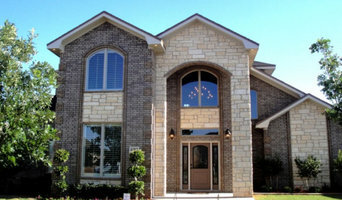 We’ll bring you the highest quality and most fashionable window coverings in Southwest Lubbock and surrounding areas. Looking forward to helping you beautify your home! B&S Woodworking Inc. is a custom cabinet builder based in Lubbock, TX. Combining technology with hands-on craftsmanship, B&S Woodworking designs, builds & installs fine custom cabinetry for custom homes and remodels. Salt Fork Woodworks was founded in 2002 Kent Allen and was joined by Chance Obenhaus in 2011. 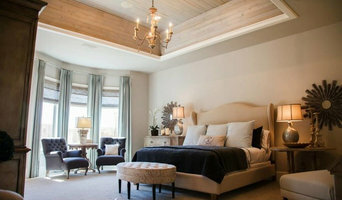 Salt Fork has filled a niche in providing a variety of unique and difficult to source architectural millwork for all types of projects including historical buildings, high end custom homes, and center pieces for commercial jobs. We use top quality materials, precision tools, and top notch staff and workmanship. We would be glad to assist you in all your woodworking needs! Our Specialties Include: Custom Architectural Millwork and Entry Doors – We work closely with architects, builders, and final customers to produce custom crafted elements meant to be the center piece of any room. From curved or ornate cabinetry, to conference tables, wood lockers, custom doors and windows, or butcher block tops we can handle a wide variety of projects. Historic Millwork Replication – We are capable of replicating right down the the finest detail any pieces of architectural millwork found on a historic building or home. From mouldings and flooring to doors, windows, and stair parts. Agricultural and Industrial Wood Parts – We make a wide variety of wood parts for various industries. Whether its 1 or 1000, we can build to the original equipment specification, aid in the design of an improved part over the original, or work with the customer in the production of a completely new part. We are local, family own business proudly serving the South Plains. We specialize in epoxy countertops, epoxy flooring, stained concrete, polished concrete, flake flooring and reglazing. Whether you need to bring new life to outdated countertops or revitalize old and broken concrete we have the product for you. We are a full service residential repaint & restoration company specializing in custom painting, drywall repairs and decorative finishes. When you call us you'll have the peace of mind knowing that you'll receive the workmanship and attention to detail that you expect. We bring it all, our experience, our professionalism, our services, and our use of the highest quality products at a great price. "We've Got You Covered." But before you start sending out dozens of emails and making phone calls, sit down and think about your project. What's your budget? What is the scope of your project? 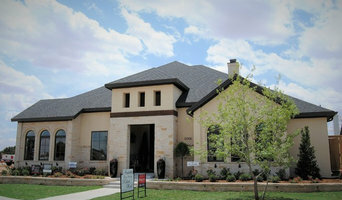 Will you need more than one type of professional to complete your home improvement project in Lubbock, TX? Can you afford to complete the full project now, or should you tackle it bit by bit? Once you've settled on your project’s priorities, budget and scope, it's time to start researching Lubbock, TX home design professionals. Don't sell yourself short and settle on the first professional you set your sights on. Make sure that you're working with someone local, who can get to the jobsite easily and efficiently. Look into the person’s reviews, ask to speak with former clients and to see previous jobs in person. Take a good look at their portfolio photos: How similar are these projects to your own? Be honest — that mansion might look beautiful, but it might not have a lot in common with your little bungalow. Reach out to multiple professionals — especially for larger projects — and don't settle for the first bid you hear. Comparing multiple Lubbock, TX professionals' bids and experiences can help you find the one that’s best for you. Ask a lot of questions now, so you won't have unexpected answers later. Find a home design professional on Houzz. Narrow down your search by type of professional and location. Browse Lubbock, TX portfolio photos, read client reviews and contact each Lubbock, TX professional for more information. Check out the information in the specialized professional sections too for tips on how to hire the right professional for your project.